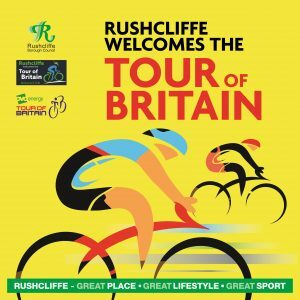 The Tour of Britain is coming to Rushcliffe and we’re giving you the chance to cheer them on. We are hosting a Cheer Point where you can come see the riders as they come through Tollerton. 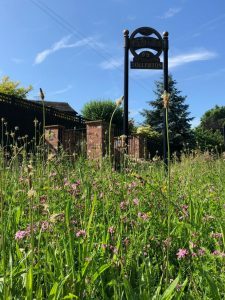 You can watch the Tour in Tollerton on Saturday 8 September at Huntsman’s Green and along Cotgrave Road as the cyclists (police outriders and support vehicles) race from West Bridgford to Mansfield. The Cheer Point will be open from 10.30am and will be a great place to gather and watch the Tour. 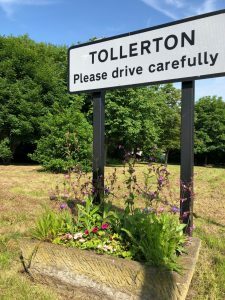 We are hoping to be able to provide parking close by and are working with some of our local groups to provide refreshments and entertainment Tollerton Scout Group have confirmed that they will be offering teas, coffees and breakfast cobs – if you would like to get involved please get in touch. We expect the tour and supporting vehicles to have all passed through by midday. We will be promoting the tour over the next couple of months so dont be surprised to see yellow bikes starting to appear in the village. If you live on Cotgrave Road you can also look to decorate your house or garden with yellow bunting, jerseys, bikes etc. We’ll offer a prize for the best decorated property.